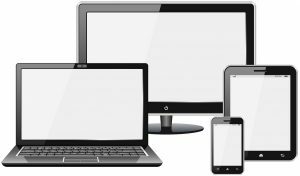 What is responsive website design? Online shopping is growing and is not only limited to desktops or laptops. Omnichannel is the keyword. Your customers are kings and want to shop on smartphones and tablets. If your visitors land on a website that is not optimised for mobile viewing there is a big chance that they will leave your website. And most likely shop with your competitors. According to Google more search than ever before takes place on mobiles and tablets. We all know that right? Responsive websites are good for your SEO. Google takes responsible websites seriously. And so do your customers. You need to provide a good browsing experience. Would you return to a restaurant where you did not have a good experience? Most probably not. And so won’t your visitors. Responsive website design is the future. Why? Technology will always bring innovative products and responsive design will adapt to any new device.